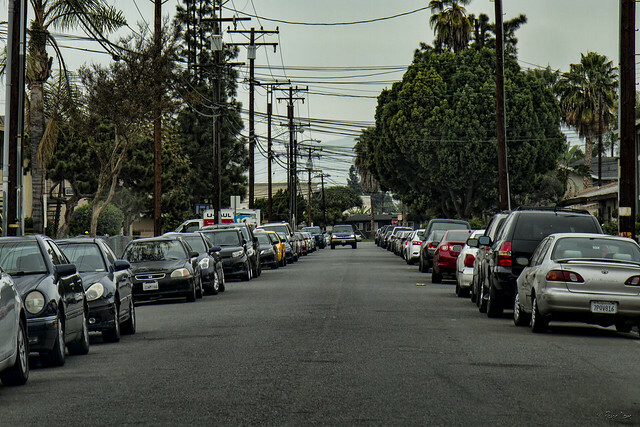 There are many narrow residential streets in Downey and, where these combine with lots of apartments and the resulting street parking, passing an oncoming car can be a challenge. Such was the case when I faced down this truck at the other end of a long block. I felt a little like a jousting knight—can my feeble Honda lance knock this black knight out of the way? No. I meekly pulled aside into a driveway, and waited for him to pass.